How does your sales team stack up? Even the most successful business needs to constantly look ahead for the next opportunity. Force #4 of the 7 Forces of Business Mastery: Sales Mastery Systems is determining how to find your clients where they are, rather than waiting for them to come to you. Fewer than 25% of leads are ever contacted, and once they’re contacted, it’s often a brief, impersonal interaction. A friendly, warm interaction that builds rapport goes a long way, and the genuine affability of your sales team will stand out in the mind of a customer who is otherwise dealing with a rushed sale. Those wondering how to increase sales would do well to develop one-on-one client relationships – especially with prospects overlooked by your competitors. Every day you are not growing market share and driving revenue is a day someone else is taking that market share and revenue away from you. An effective sales team will focus not only on active demand for your products or services, but even more so on latent demand – customers that don’t know why they are your customers yet. By continuously looking for ways to broaden your market share, you will build momentum. For a company to truly establish itself and continuously expand, its sales team must be willing to go the extra mile to capture new markets. This is true regardless of how large or small your business is. Consider the environment in which your business currently exists: In this digital age, all your prospects have immediate, detailed information about your company’s products and services, along with information about all of your competitors and their products and services. They have access to real-life, real-time reviews. Rather than waiting for a marketing campaign or a sales person to approach them, clients are proactively seeking products that are best suited to their needs. In addition, these self-directed, web-savvy clients prefer to shop online, according to their own schedules, to create the outcomes they want. Your organization needs to be accessible, flexible, informed, responsive and willing to help clients achieve their desired outcomes. Your sales team needs a strong leader to oversee the task of scouting business prospects and to craft and utilize functional sales strategies, as well as grow and maintain a strong, innovative sales force. Your sales team and your marketing department should constantly be in touch with one another. Develop a communication and feedback system that includes updates about the type of leads needed and the strategies being deployed to deliver those leads. It should also include processes being used to follow up those leads, and the progress being made. The world is almost wholly interconnected now; when you’re looking at how to increase sales, try thinking of the world as one giant market. Branching out into new cities, states or countries poses unique difficulties, but can lead to rich benefits. This doesn’t mean pack up your staff and move to a remote corner of the world – but through managed expansions or channel partner relationships, your business can find massive demand in any corner of the globe. A strong, dependable sales team is critical to experiencing incredible growth. 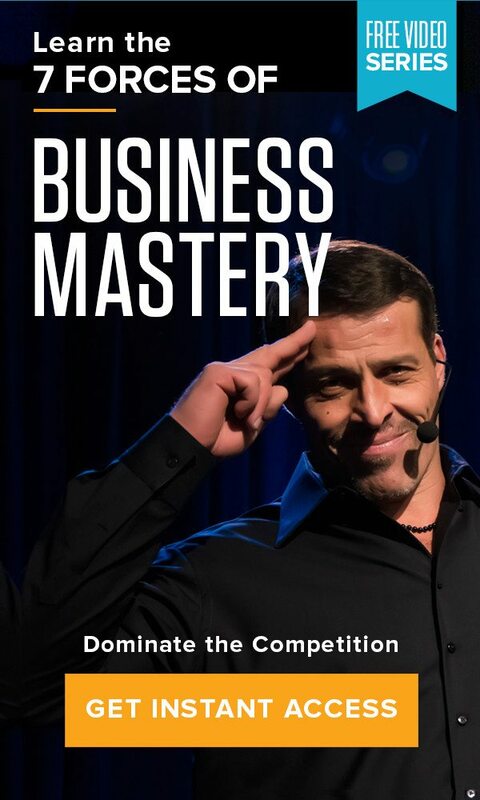 Attend Business Mastery to learn how to increase sales and build an outstanding sales team from Tony Robbins himself. Over five days and nights, Business Mastery will help you understand the critical factors impacting your business right now, then refocus and realign with the business strategy and psychology you need for competing and innovating, in any economy. Apply now!